I spent some time this weekend working on the level that I started a couple weeks ago. This is not a difficult project, but it can take longer than expected if the only shop time you've been getting is somewhere between "none" and "if you blink, you'll miss it." 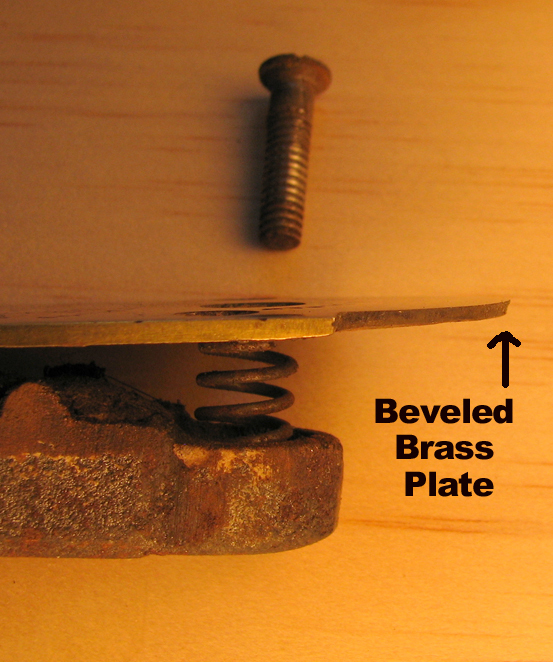 I squared up one edge of the wood blank with a handplane. 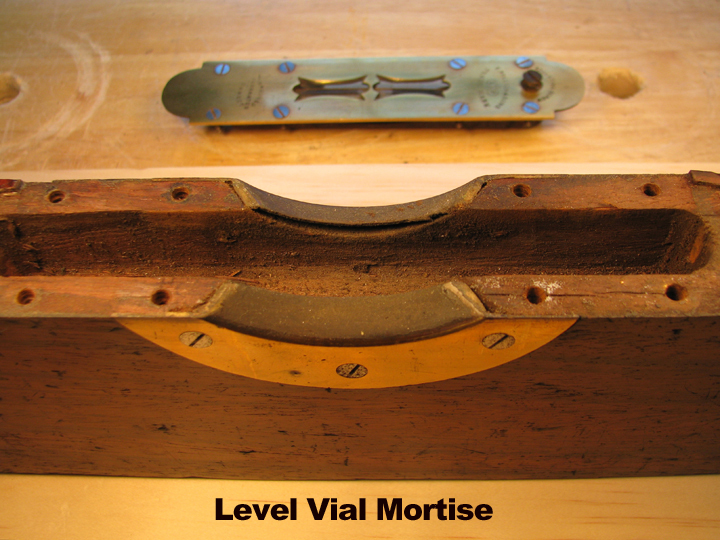 Referencing off this edge, I marked the layout lines for the mortise that would house the vial. 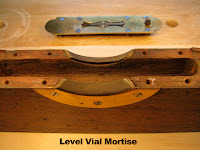 The antique levels I bought came in handy for determining the proper depth and length of the mortise. I used a drill press to remove the bulk of the waste and squared it up with chisels. 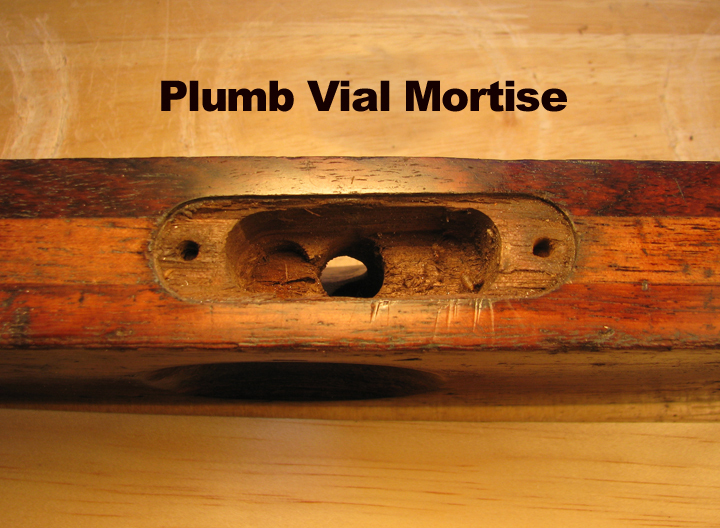 Then I used a gouge to round the ends so the mortise matched the shape of the antiques. 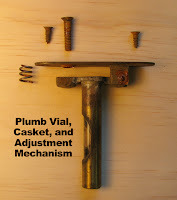 You can also use a drill bit if you have the appropriate diameter. 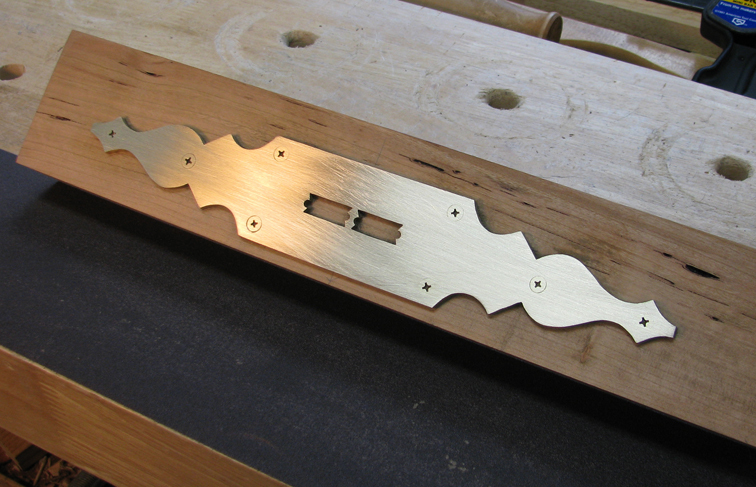 The brass top plate became the template for the wood blank which I rough-shaped at the bandsaw. 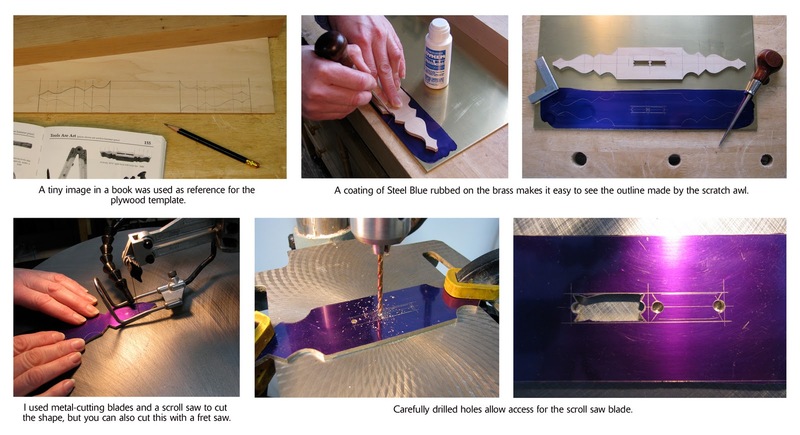 You can also use a fret, coping, or scroll saw to make the same cuts. 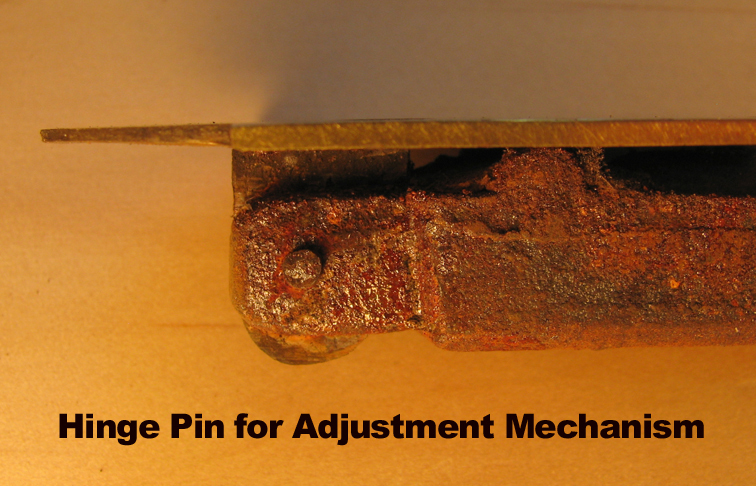 The fastest way I found to remove the majority of the excess wood was with chisels and gouges. 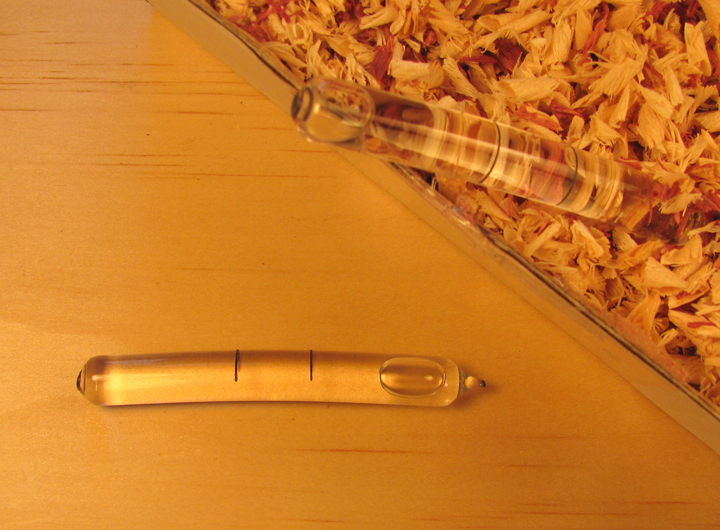 Then, I used sandpaper-wrapped dowels to finalize the shape of the curves. Files worked well on fine-tuning the flat facets. If you haven't tried shaping wood before, this project is a nice introduction to what many of us find to be a meditative experience. The Society of American Period Furniture Makers is opening a new chapter which includes Maryland, southern Pennsylvania, Delaware, Washington D.C., northern Virginia, and West Virginia. The first meeting is scheduled for Saturday, April 9, from 10:00-4:00 in Rockville, Maryland and features a demonstration called "Carving the Cabriole Leg for a Low Bedstead by Kaare Loftheim." Kaare Loftheim is the Journeyman Cabinetmaker in the Hays Cabinetmaking Shop at Colonial Williamsburg. The price is only $20 and includes lunch. Membership to SAPFM is not required, but is encouraged. Reservations are needed by March 1. If you would like to attend, email Bert Bleckwenn at bableck@gmail.com as soon as possible. Bert can give you directions to the meeting along with more information about the organizaton or you can shoot me an email and I'll forward the pdf files about the event to you: goodwoodworkshop@comcast.net. I've been called both by a certain partner who mocks me for wearing socks with holes and sneakers with soles worn paper-thin. Ah, but I sure have some nice tools. We all have our priorities. Which is why, when my 15-year-old plastic desk calendar met with an abrupt demise last week due to the uncharacteristic actions of a mild mannered graphic designer who momentarily lost her cool at work, I was reluctant to replace it with a newfangled, electronic gadget with which to record my daily activities. My partner incorrectly surmised that this event was "the universe beckoning me to join the 21st-century." So, I made tracks to the nearby office supply store to buy a plastic base replacement for the loose calendar pages. Two cardboard boxes of replacements were on the shelf. 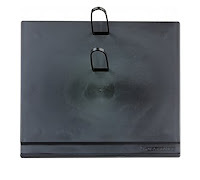 To my dismay, I discovered that one had been torn open and was completely empty. 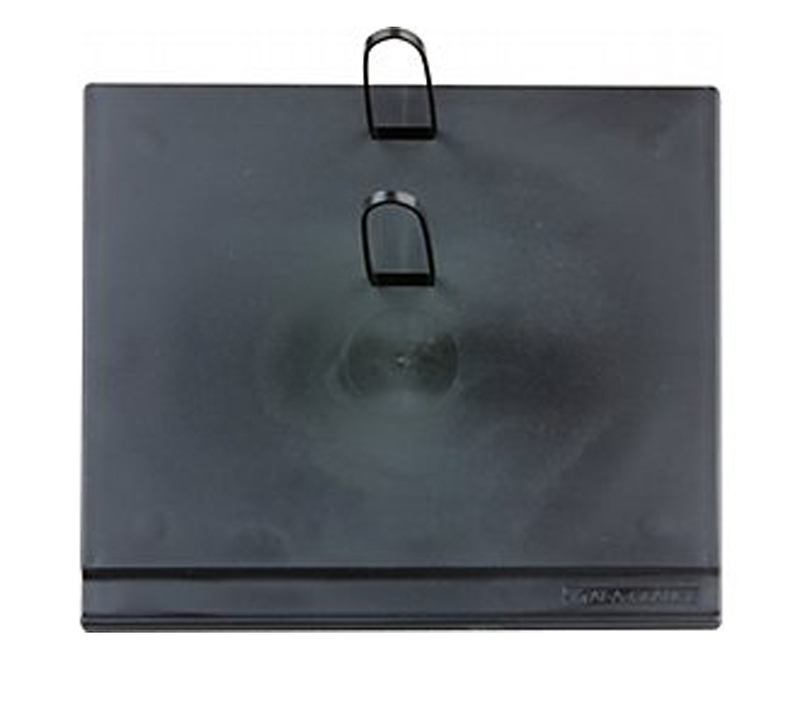 The other box was mangled and contained only the plastic base—the U-shaped metal tangs that are used to lock the calendar pages in place were missing. Not a problem. 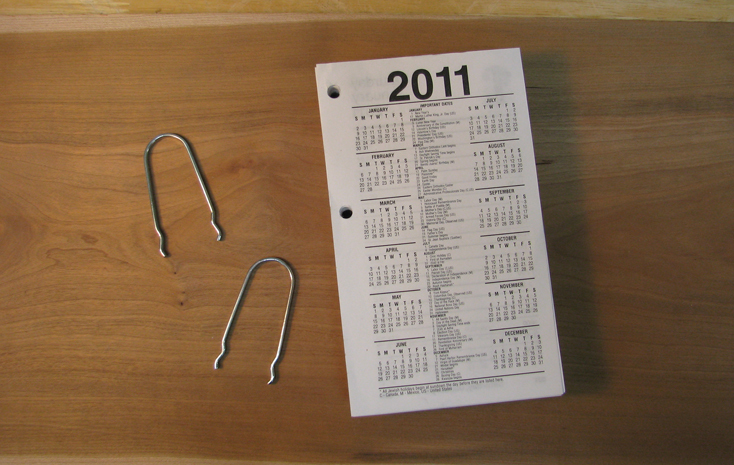 I had frugally, nay, wisely saved the metal tangs from my broken calendar base. I considered purchasing the incomplete product, when I suddenly remembered, "Hey...I'm a woodworker, by gum!" Back on the shelf went the battered box. And I went home. To my shop. 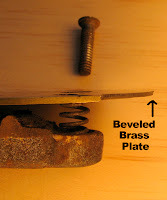 Where I made my own darn calendar base from a piece of cherry. I saved $10 and I have a much prettier desk calendar to greet me at work each day. It will look spiffy next to my rolodex holder. The universe was imploring me to get with the times? Horsefeathers! 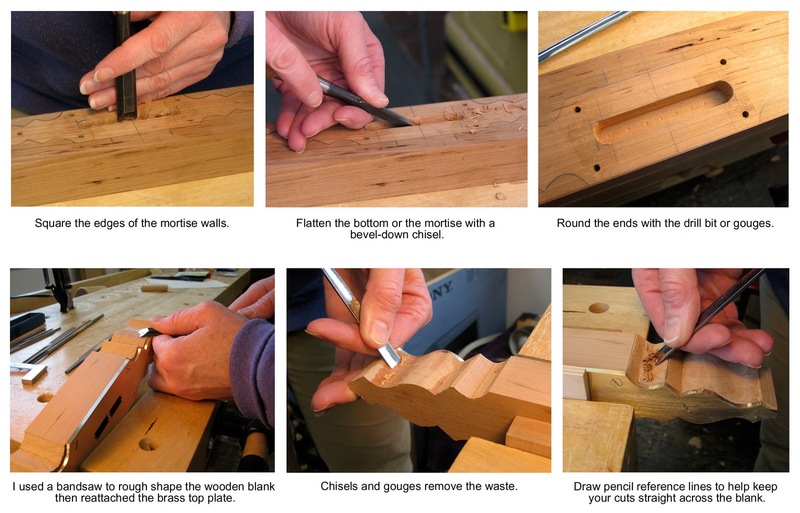 Many of you are familiar with Peter Follansbee who builds authentic reproduction 17th century New England furniture and writes the blog Joiner's Notes. Peter works almost exclusively in oak. He splits the logs, planes the boards, carves them, and joins them. 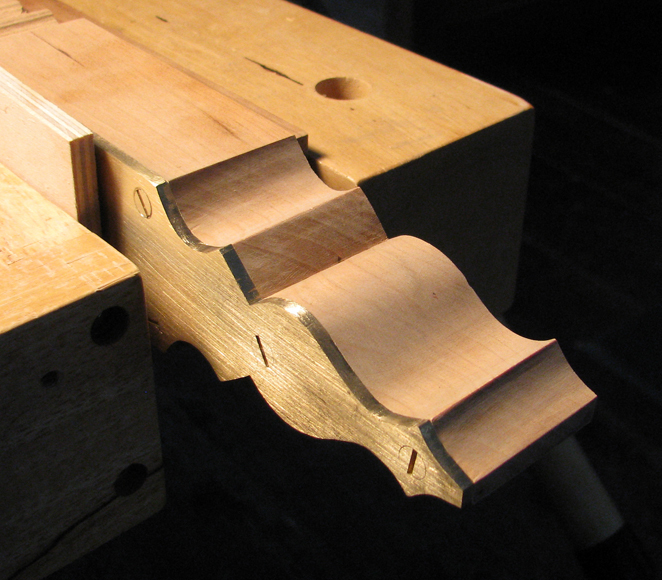 From start to finish, he works wood exactly as they did three centuries ago. Most of his pieces include ornately carved designs which mimic those found in museums and private collections—pieces he has examined first-hand. 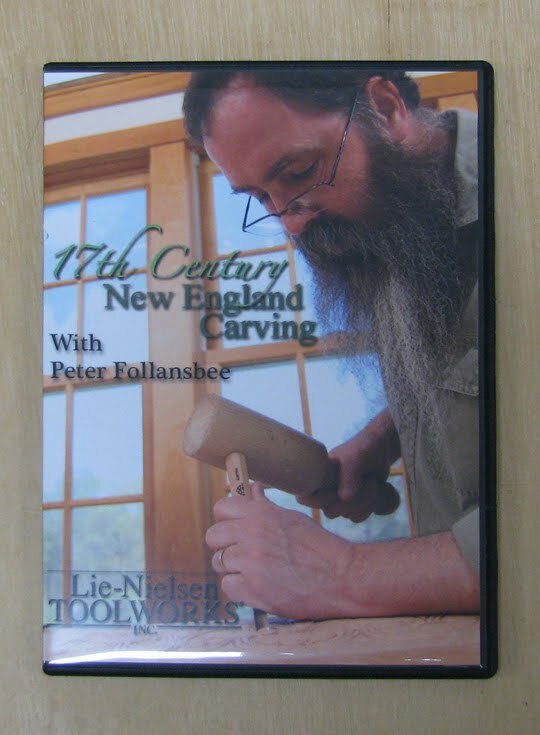 Lie-Nielsen produced an 88-minute video in late 2010 featuring Peter and his carving techniques. In the movie, Peter explains the tools and materials, and the postures and grips needed to replicate these patterns. 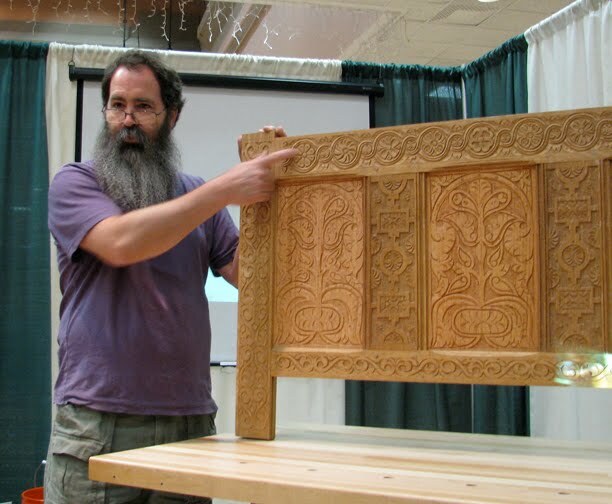 You only need a few carving tools (he uses four or five gouges and a v-tool, awl, dividers, square, ruler, marking gauge, punches, and mallet) in order to produce this style of carving. This is great news for those who would like to try their hand at it but who don't want to part with a to n of money. The proper handling of tools, and the procedure for carving decorative motifs and three different patterns are thoroughly covered. Peter starts with some practice cuts, followed by a simple repetitive design and two more layouts which escalate in increasing complexity upon the first. Peter very clearly and concisely explains and demonstrates his techniques. 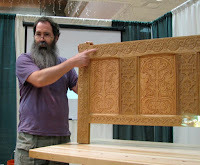 He removes all the guesswork and leaves you feeling confident about being able to accomplish this style of carving. The video captures various angles while Peter is working—close up and far away—so you can see his stance, the way he holds the tools, and the cuts he's making. 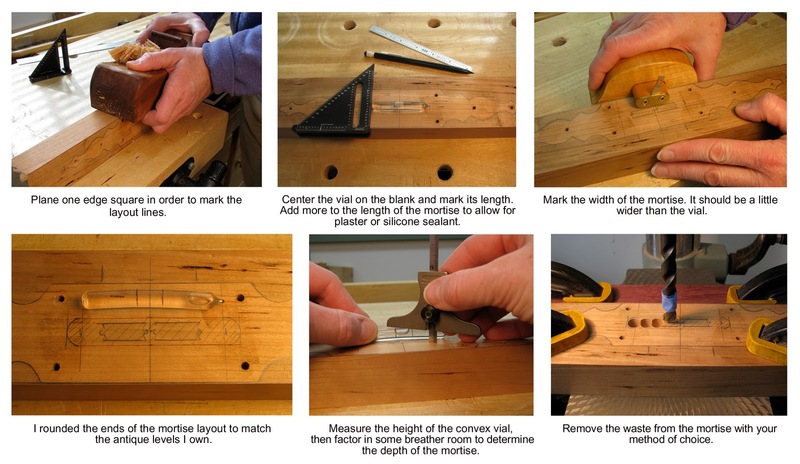 Included in the DVD are pdfs of some simple layouts, a glossary of terms, a list of selected reference material, and a photo which shows the incisions made by Peter's tools so you can see the sizes and sweeps of the gouges. If you are interested in learning to carve pieces like this, the video will definitely help you. Combine that with the vast amount of knowledge that Peter generously offers for free on his blog, and you will have a firm grasp on how to do it. In case you've never seen Peter in action, you can view a video I shot of him at the WIA Conference in 2009 which shows some of his fancy moves. 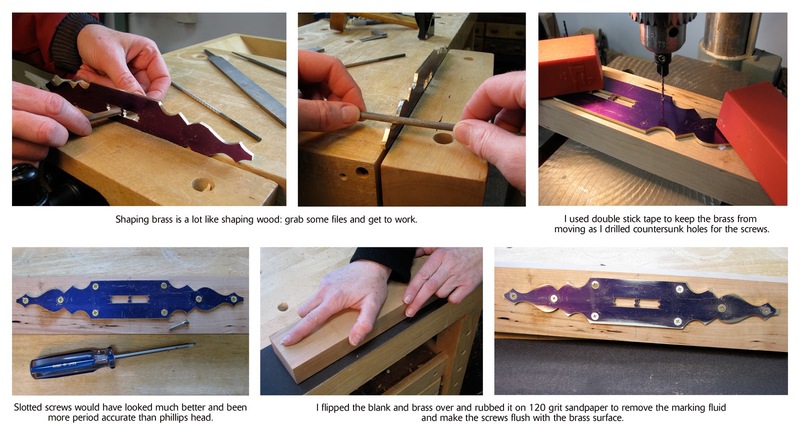 Here is a link to an article that Peter wrote for Woodwork magazine in 2009 which shows one of the patterns that is featured in his DVD. 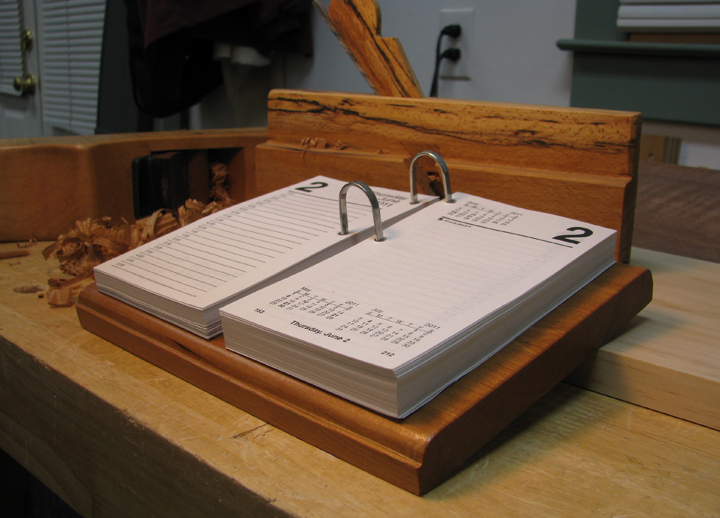 Peter was featured on a Woodwright's Shop episode—season 27, number 2701. Here is the link. 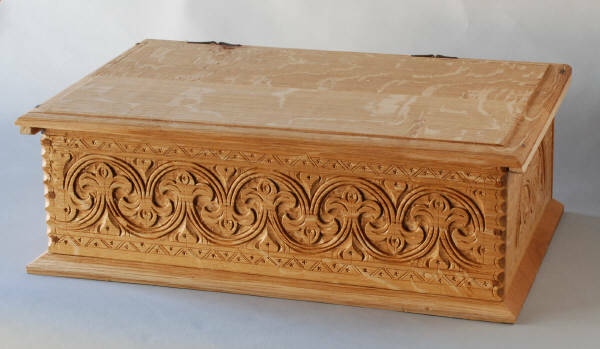 The photo of the carved box is from Peter Follansbee's website. The photo of Peter is one I took at WIA.